Thinking logically, our bodies need a certain amount of calories in order to lose, maintain or gain weight; therefore if we are aware of those values we can choose our food accordingly. Personally the first one if my favourite, it gives a clear breakdown of how many calories you need to eat in different circumstances. Enter your details, make sure they are accurate! The Extreme fat loss value is your GOAL – The Fat Loss Value is your BOUNDRY! Do not cross it! This information allows you to be able to look at the calories which you are eating, and if you count properly (don’t cheat, because you are only cheating yourself! ), weight loss is inevitable. I aimed for about 1,200 calories each day, and within just one week I saw results, about 2kg (4.5 pounds) off in the first week. 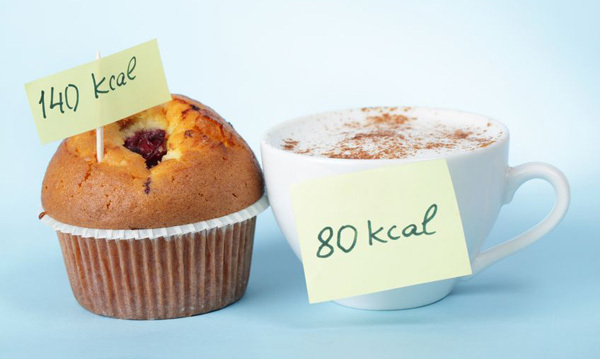 Keep updating your details in the calorie calculator every time you lose weight, and use the updated figures. If you are selecting the option ‘little or no exercise’ it is important you DON’T do any! If you are exercising you need to eat more, otherwise you can experience serious health problems. Weigh yourself regularly, once or twice a week is best. Seeing results is the best form of motivation. Even though at first it is a little challenging to get used to counting every piece of food, it actually allows you to learn a lot about which foods are healthy and which are not. Treating yourself for one day a week is important, eat your favourite foods, drink your toffee-nut latte and just enjoy the pleasure of not counting. Most Importantly, enjoy learning about your body and how it functions, it really is fascinating.